So, how did you spend your long weekend? Here in Canada, the first weekend in August, along with being one of the busiest camping weekends of the summer, it is also the weekend that is filled with colourful festivals across Canada to celebrate our Canadian heritage. Now that’s an oxymoron in itself, because Canada does not have one distinctive heritage as such. Canada is a melting pot of cultures and faiths so the Canadian identity is not so much a singular, distinct national identity but a colourful blend of nationalities that make up our Canadian society. In other words, if ever there was a culture that could be defined as the Heinz 57 variety…Canadian would be it! Now for years we have usually been camping on the Heritage Day long weekend as a family, but this year we decided to have a “staycation” meaning we stayed home and instead became tourists in our own home town. So on Monday, my husband, my youngest daughter and I toured into Calgary and attended the Heritage Day Festival at Prince’s Island Park. My husband is Canadian but was born in Germany, and has Scottish and British roots; I am Canadian with Danish roots, so we fit the “Heinz 57” mould pretty well. But before heading there, we detoured over to see the “Body Worlds” exhibit at the Science Centre first. My fourteen year old daughter, was not as thrilled about seeing the “insides” of bodies as we were and on more than one occasion used the term “gross”, however she had to admit that it was extremely interesting. She will never become a doctor or nurse, that is obvious. I was absolutely fascinated by the entire exhibit because each display vividly depicted how “fearfully and wonderfully made” we all are. Looking at the bodies, stripped away of skin, exposing muscles, tendons, blood vessels, and nerves, I couldn’t help but marvel how perfectly we are “knit together”. Nothing is there by accident, each organ, muscle or nerve serves a unique purpose in our bodies and the exhibit also shows what happens to the body if it is damaged by disease or injury. We are fragile creations but it is obvious we did not “evolve” to become human, we were created by a magnificent Creator. I thought it interesting that an exhibit that was for all intents and purposes filled with dead people actually celebrated Life! I was still pondering on that when we walked over to Prince’s Island to watch the Heritage Day festivities there. I was struck by the diversity of dress, skin colours and speech. It was like hundreds of cultures gathered together to celebrate our differences as well as our similarities. On stage, performers from Chile, Brazil, Guatemala, Mexico, India, China, Japan, Hungary, Russia etc., were dressed in their national costumes and dancing their traditional folk dances. Booths were set up all around the park so we could sample foods from around the world and buy crafts, pottery, jewellery, and clothes from every country. It was spectacular. Skin colour, race, religion, thought, opinion and ethnic origin may define us culturally, morally and ethically distinctive, but strip all that away and we see that our true common bond as human beings is our connection to our Creator! 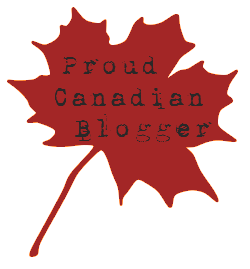 This entry was posted in Canadiana, Inspiration & Devotion, Proverbs 16:9 - Journey Thoughts and tagged Body Worlds, Canada, Canadiana, Christianity, Devotion, Family, Genesis 1:27, Inspiration & Devotion, Life, Philippians 2:10-11. Bookmark the permalink.